The International Business Management (IBM) programme on top again. In the CHE rankings of June 2017, our internationally focused bachelor's programmes, International Business Management, International Business and International Engineering, once again placed highly in the university league tables. 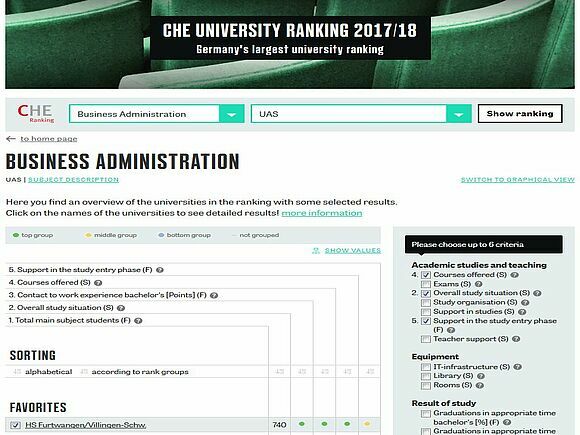 In March 2008, International Business Management and International Business achieved top rankings particularly in the area of employability in both the CHE and in a survey of German Human Resources Managers.